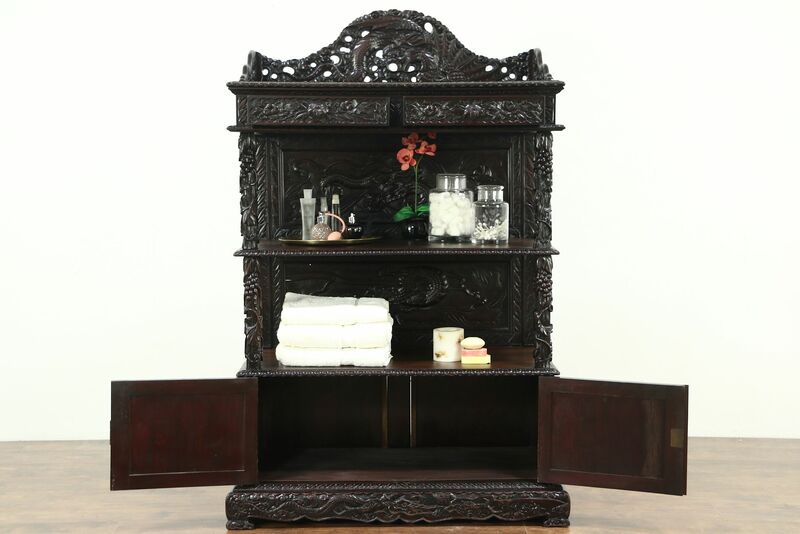 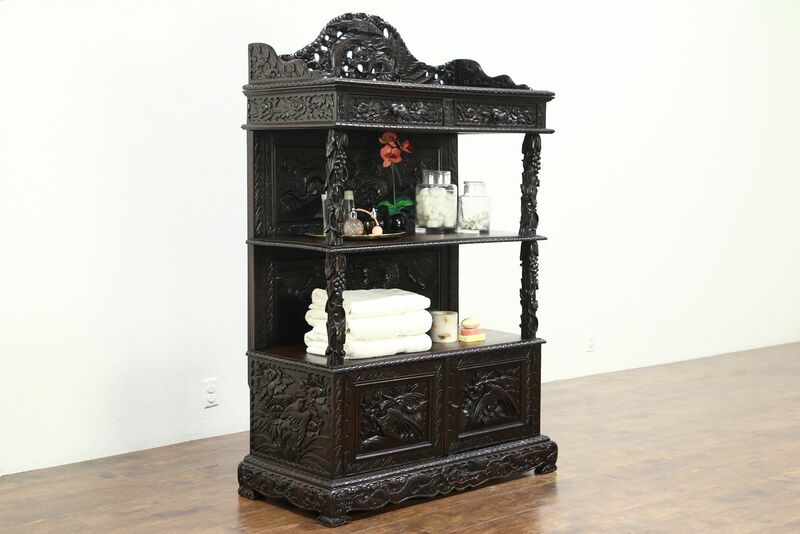 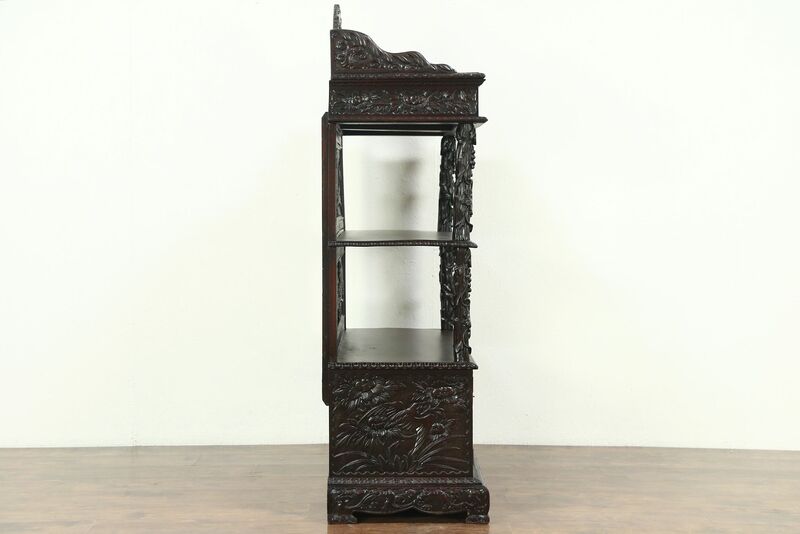 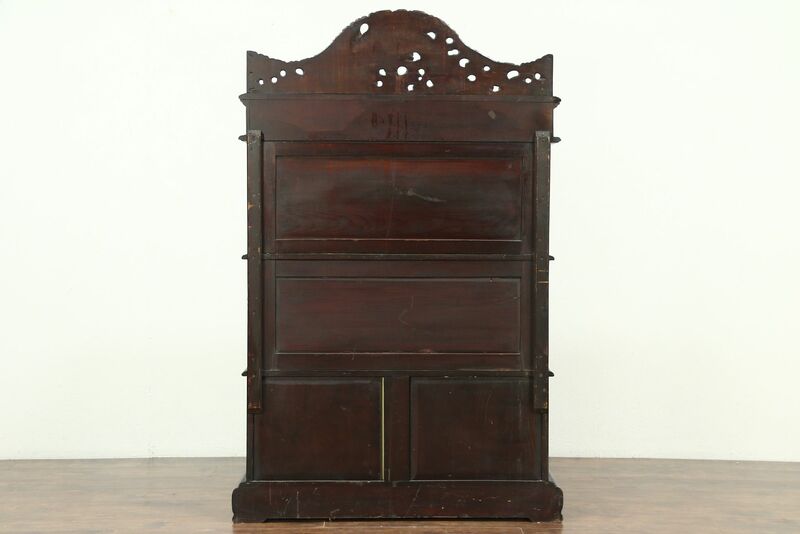 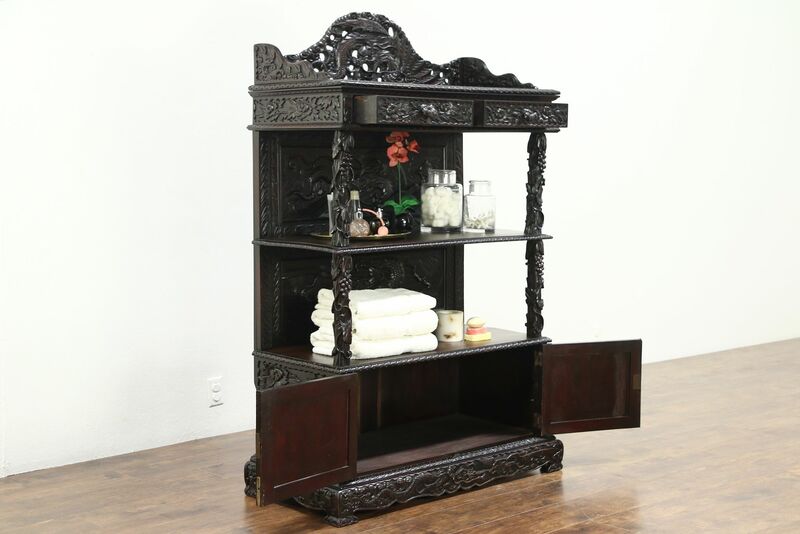 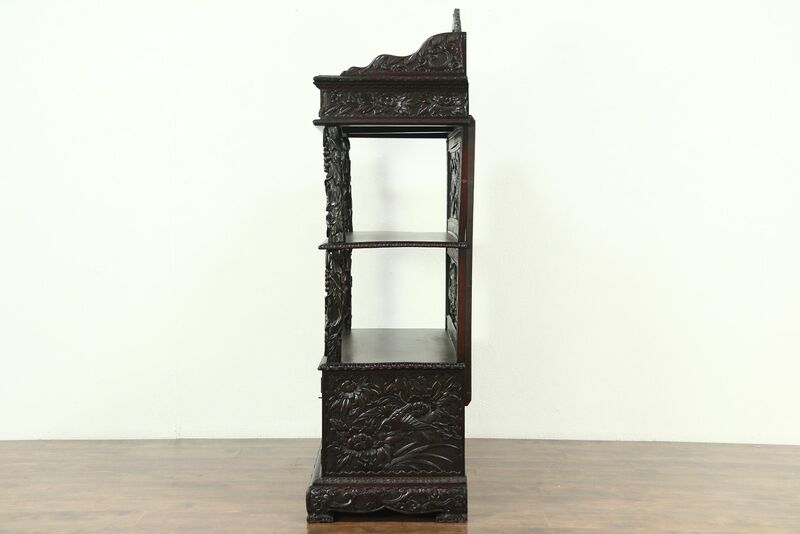 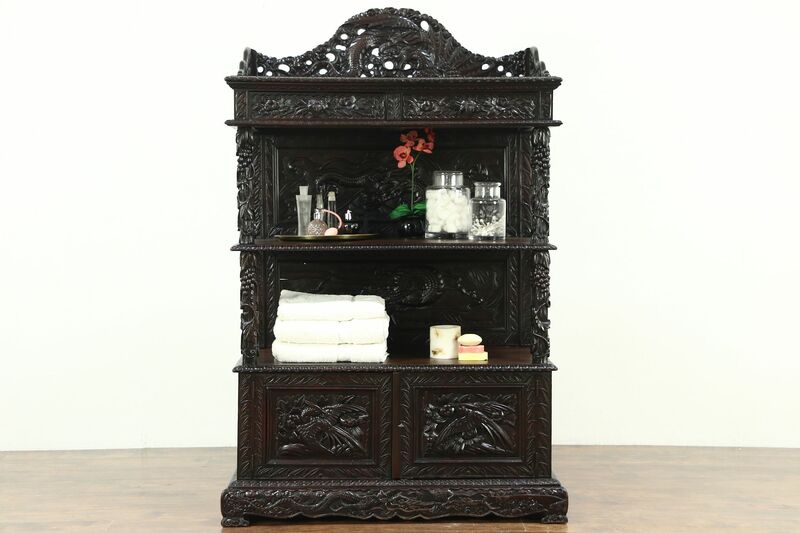 A spectacular open shelf server or bath cabinet was hand carved of solid cherry wood in China around 1900. 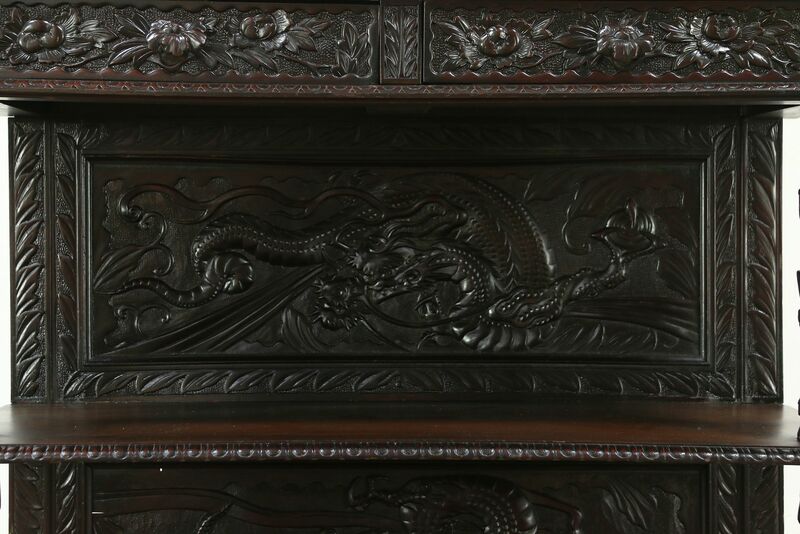 The restored deep finish is in excellent condition. 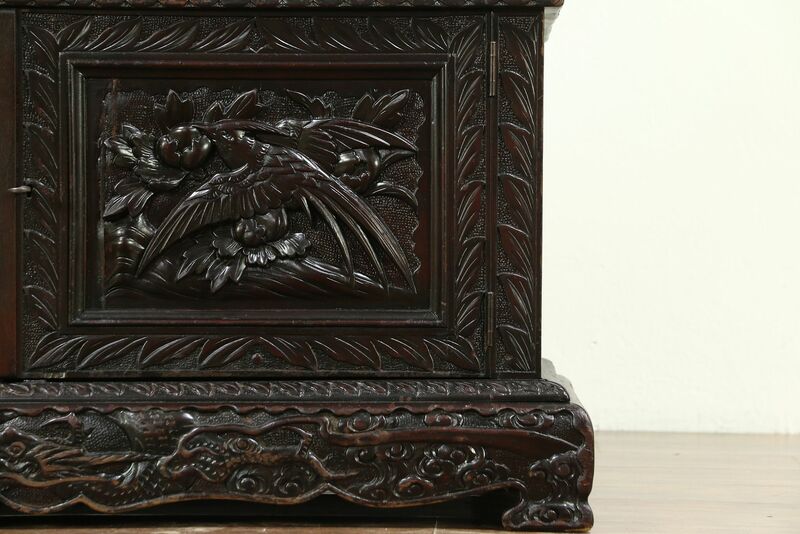 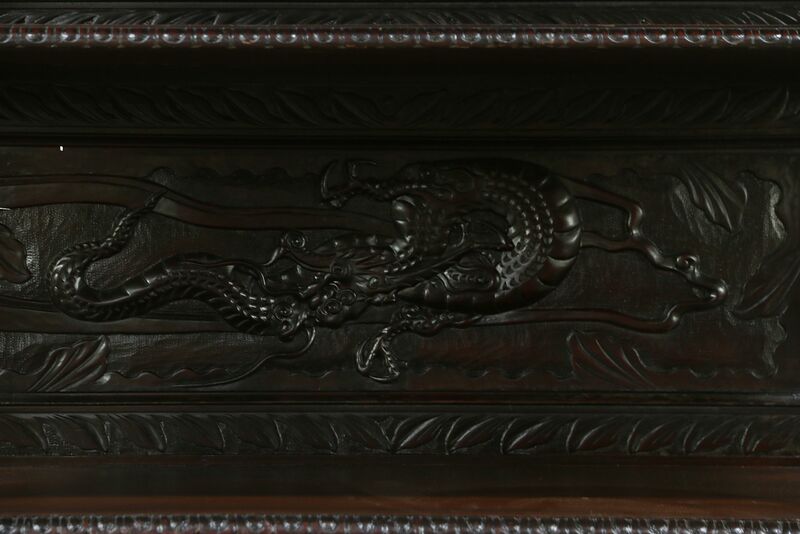 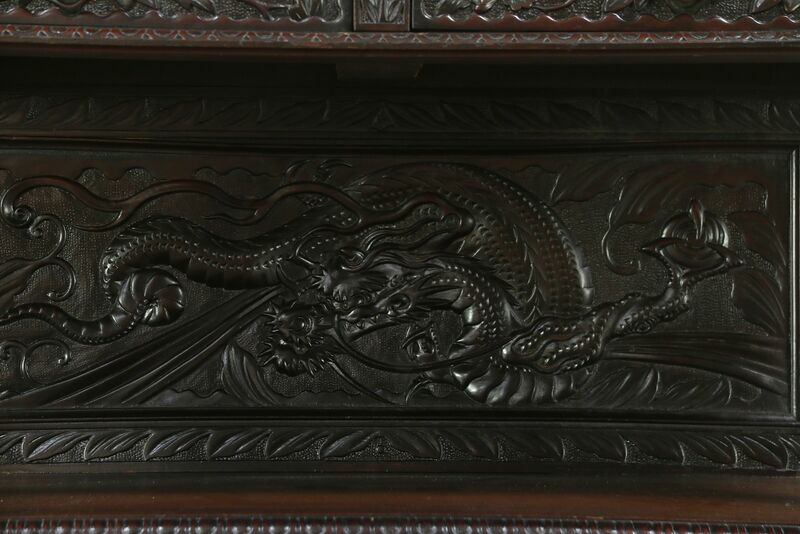 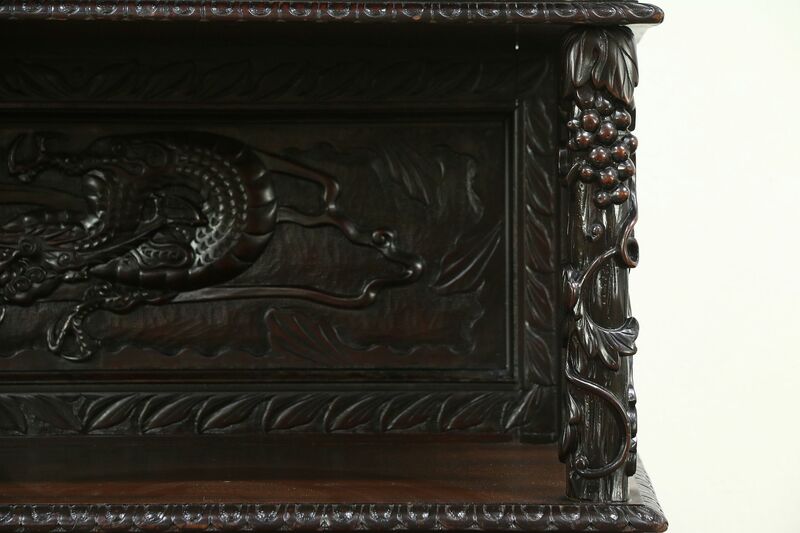 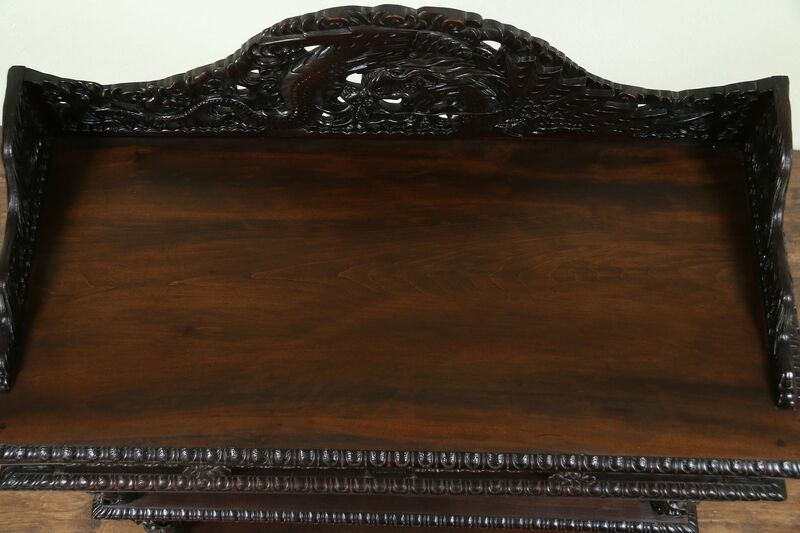 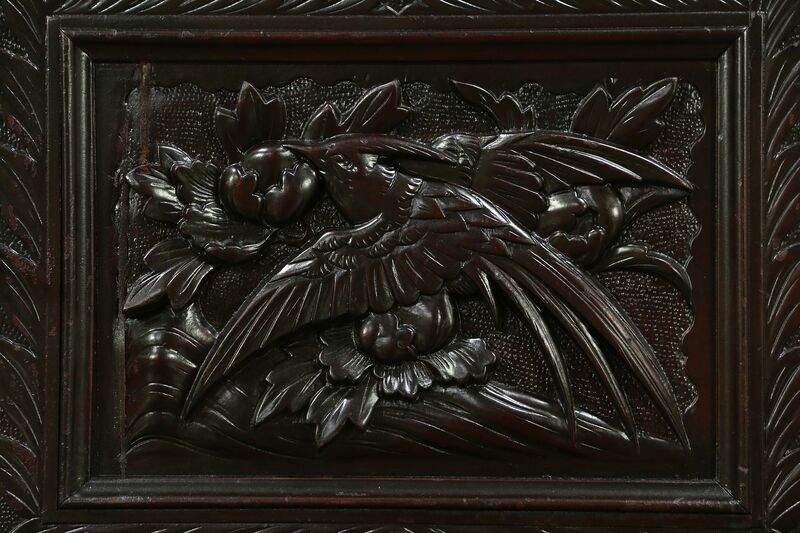 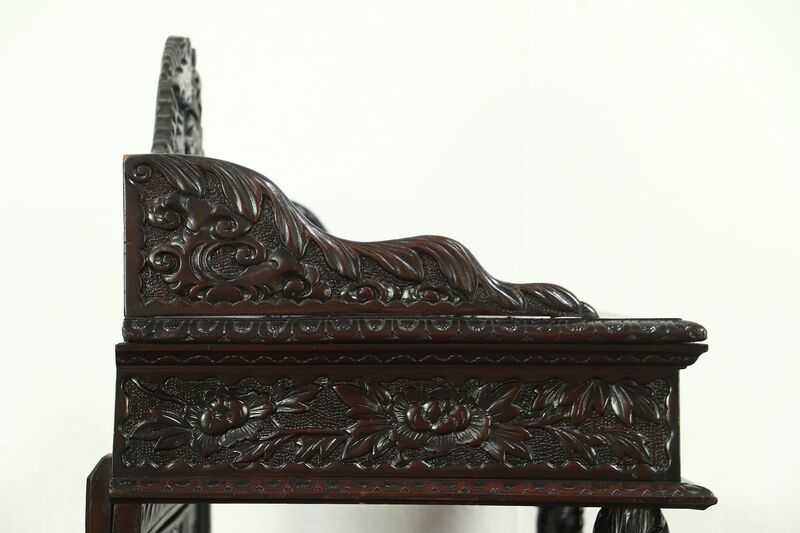 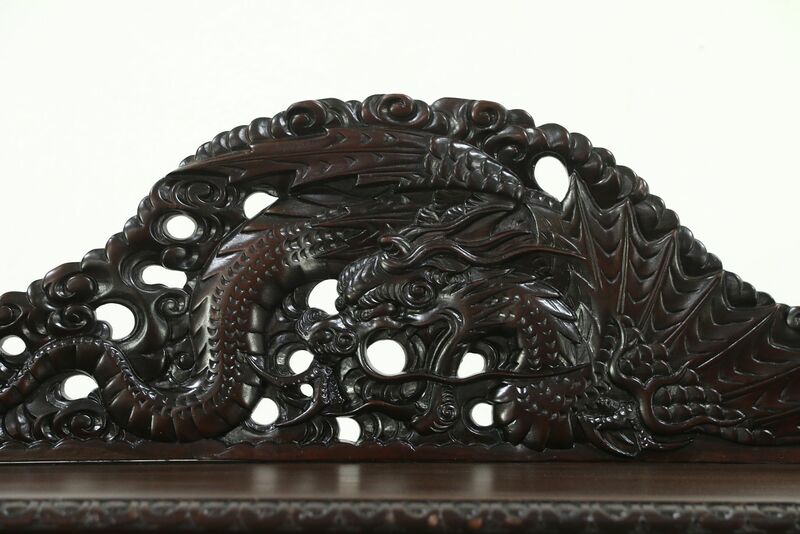 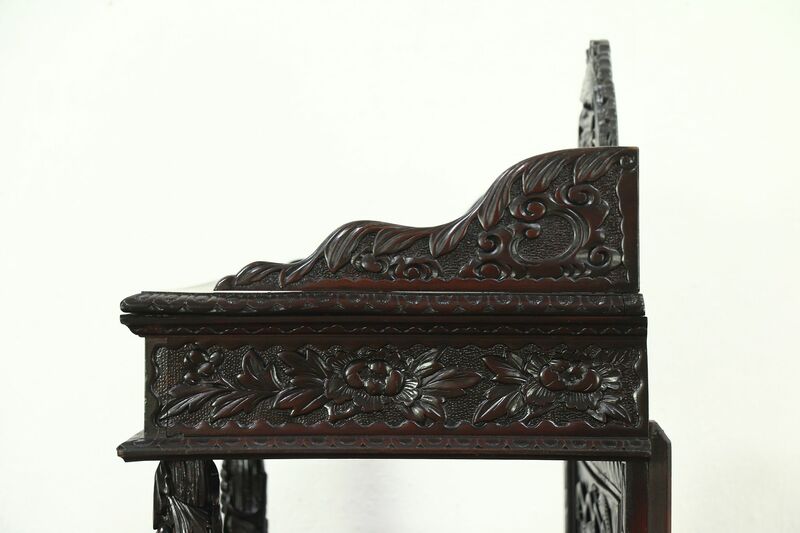 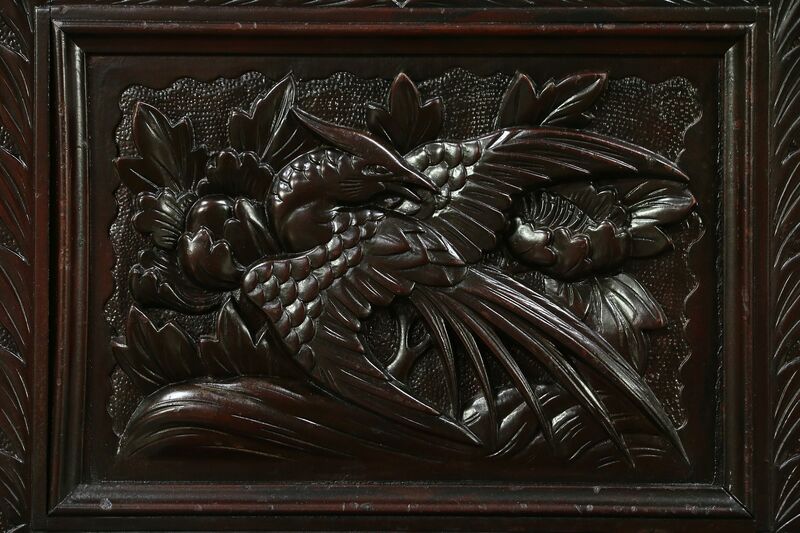 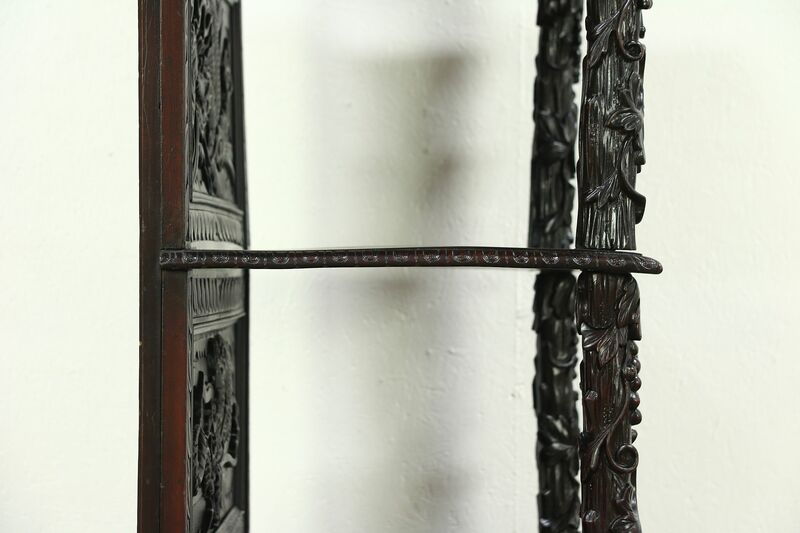 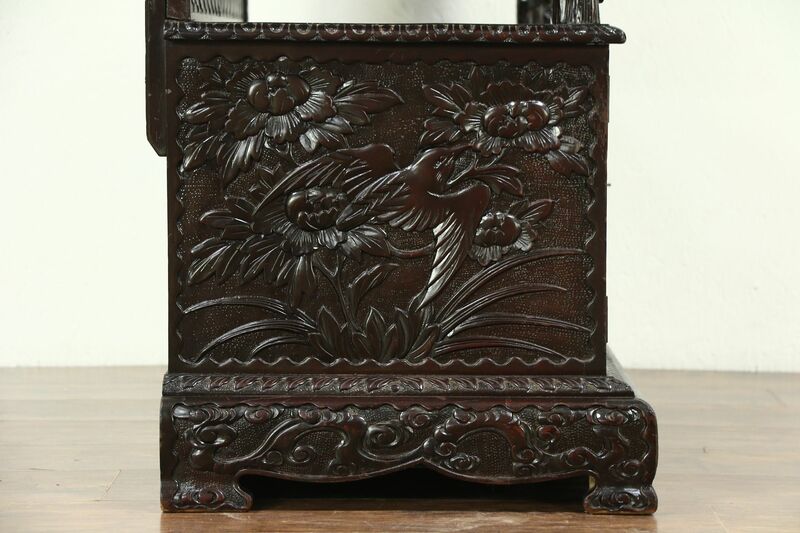 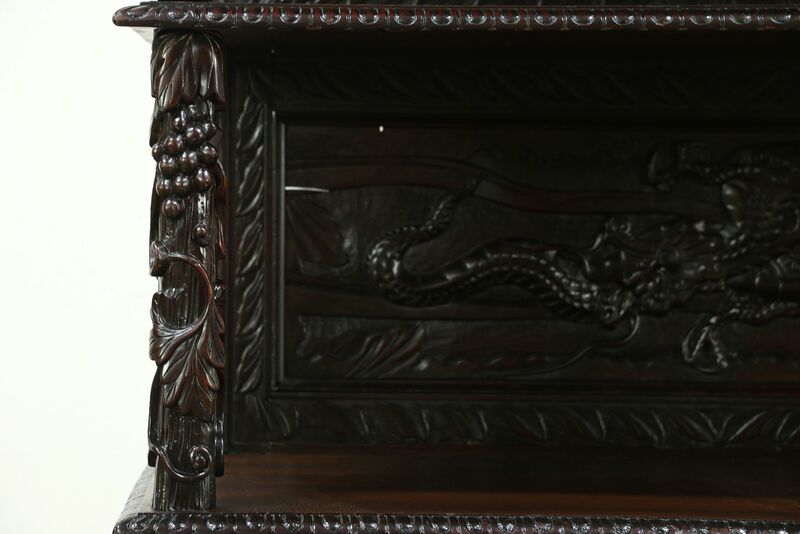 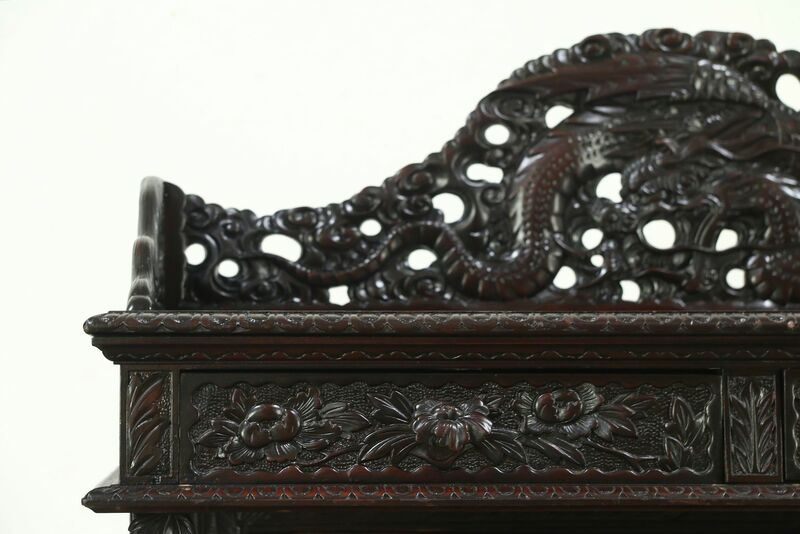 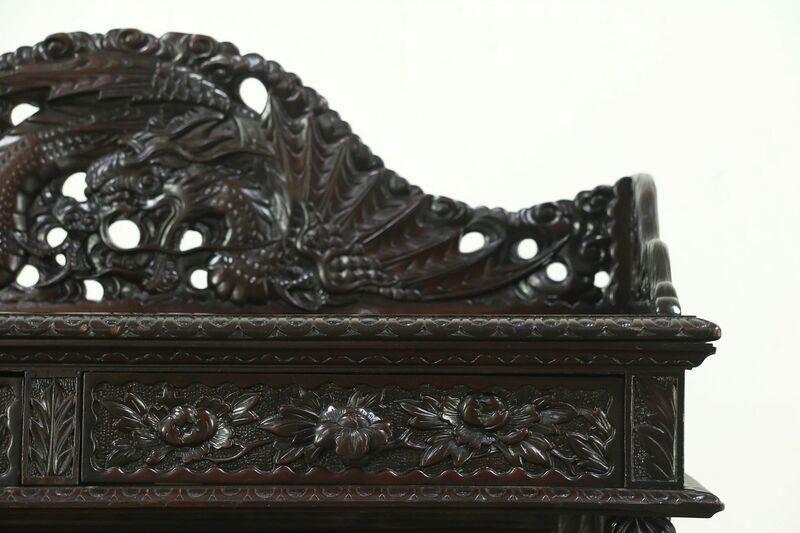 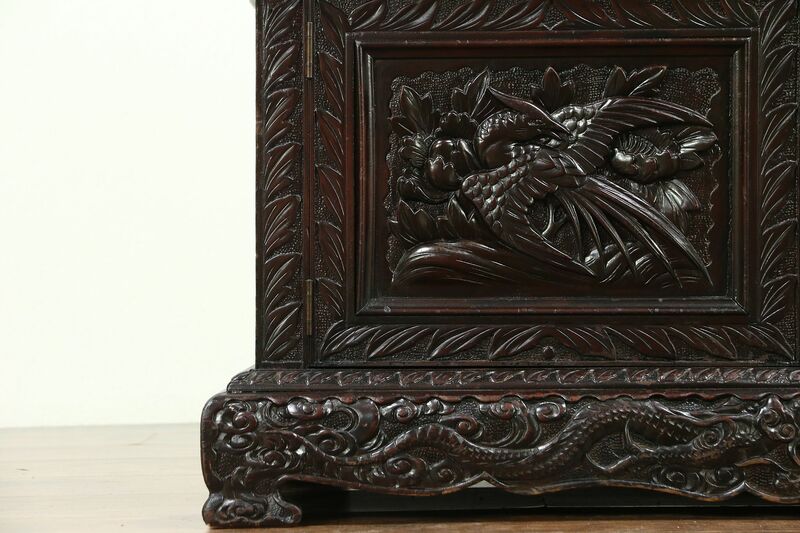 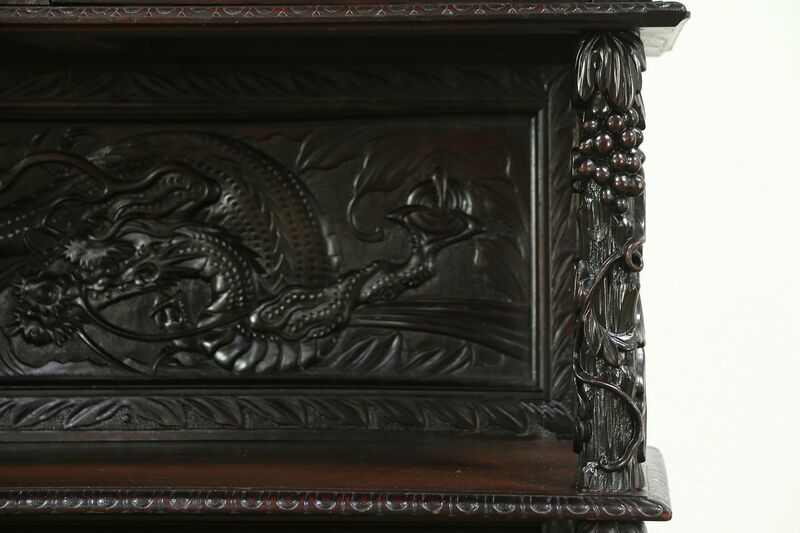 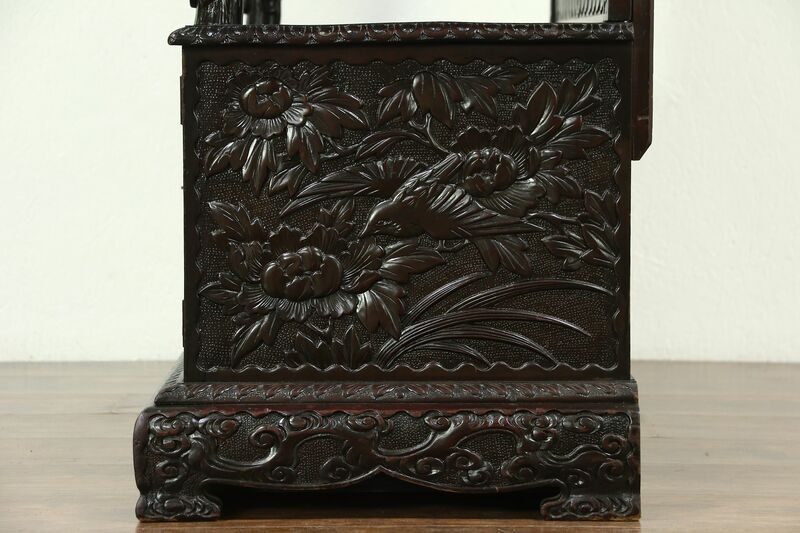 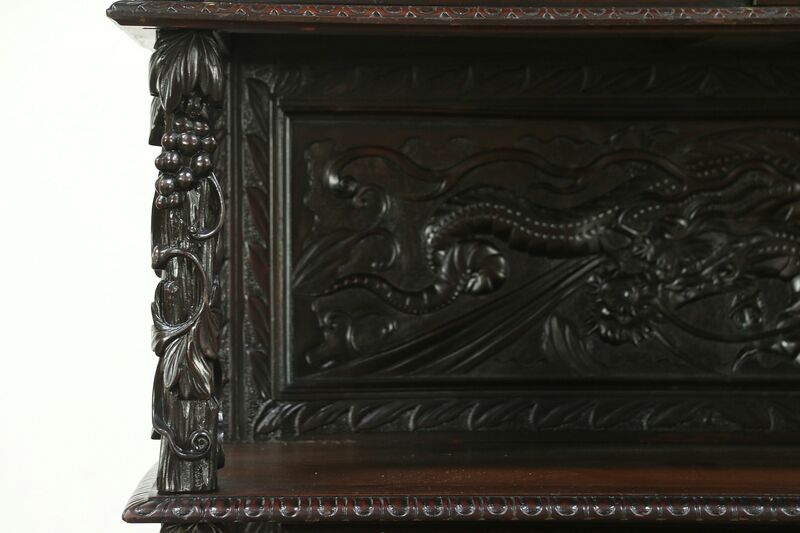 Carved and pierced dragon, bird and grapevine motifs are artistic on this stellar antique furniture. 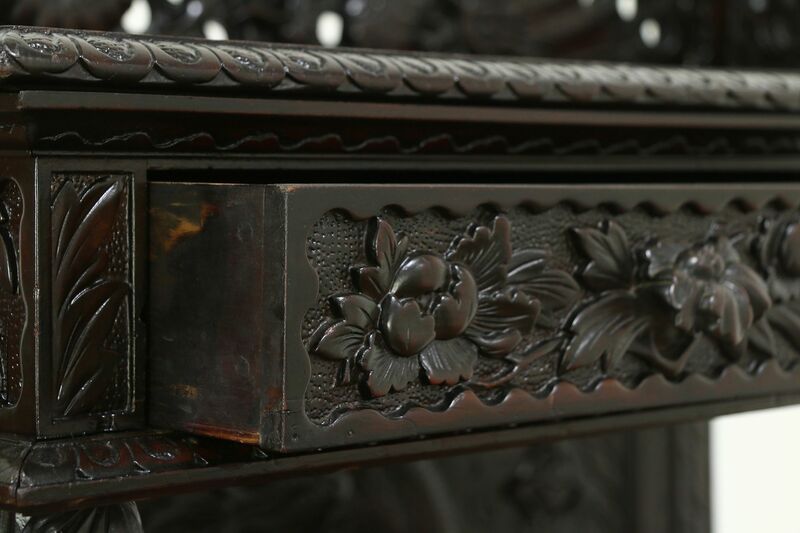 Drawers are constructed with traditional wooden pegs in the front and hand cut dovetail joints in the back. 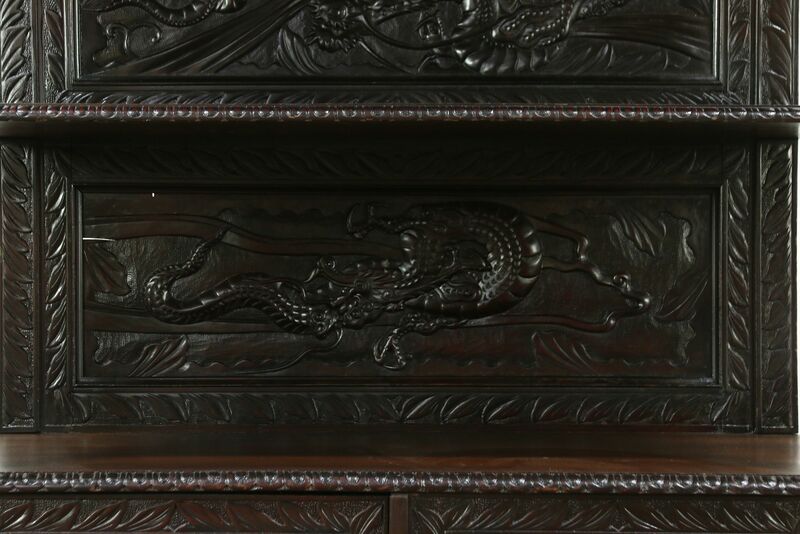 Measurements are 43" wide, 21" deep and 66" tall with 14" between the shelves.